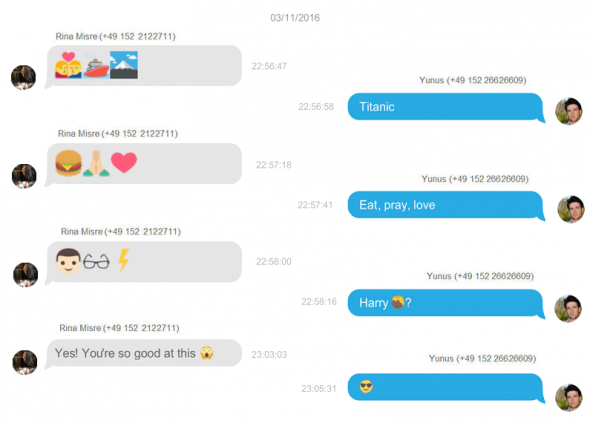 Home » How to back up iPhone SMS text messages? Wondering how to download text messages from iPhone? It’s actually really easy to back up iPhone text messages to computer with CopyTrans Contacts. It works with all devices and iOS versions, including iPhone Xs and iOS 12.
various attachments: photos, videos, and contact files. This guide also comes in handy if you need to print iPhone messages for court, or you simply need to archive some old iPhone messages on your computer. Let’s begin transferring text messages from iPhone to computer. Run CopyTrans Contacts and connect your iPhone. 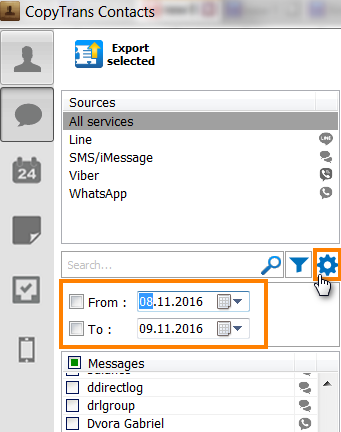 CopyTrans Contacts will automatically start loading iPhone content such as text messages, contacts, calendars, etc. Please don’t cancel the loading and wait until the process is finished. After the data is loaded, we are ready to download messages from iPhone. Hit the Messages tab on the left-side pane to see all iPhone text messages. Select “SMS/iMessage” from the “Sources” on top. 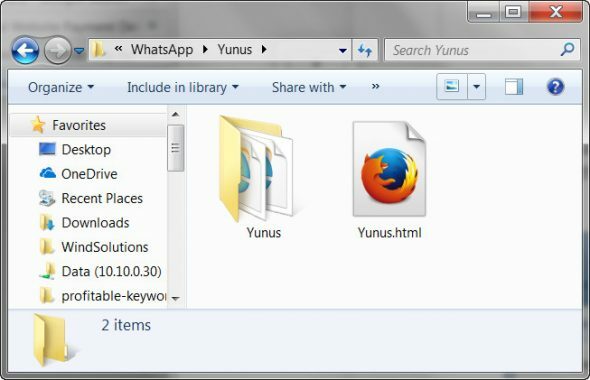 You can also select “WhatsApp”, “Viber”, or “LINE”. Select the conversations you wish to back up. 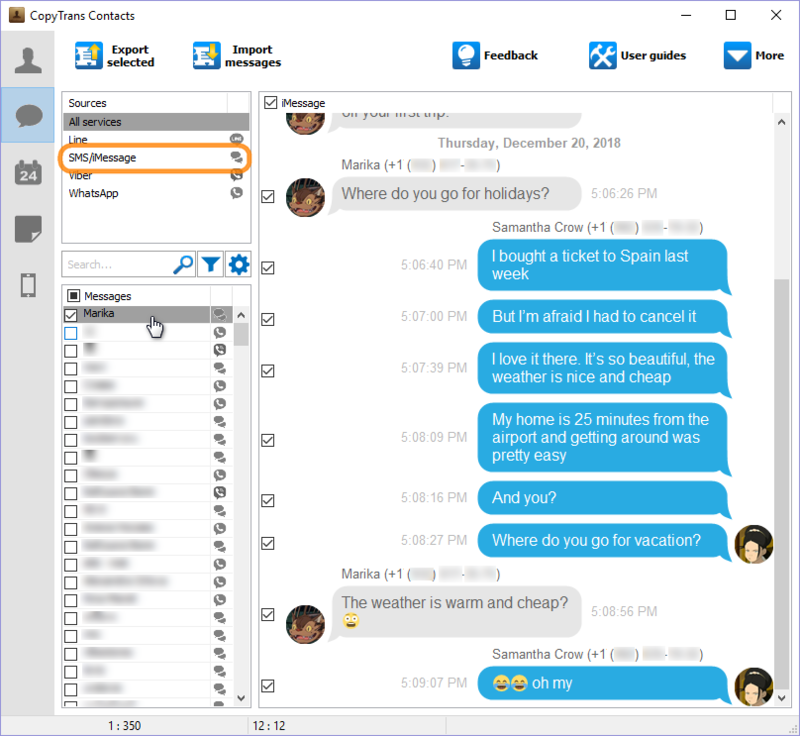 Note: If you don’t see the messages in the main program window, please check troubleshooting tips. If you want to backup entire conversation, just tick the checkbox in the header. It’s also possible to backup only individual messages. Finish transferring text messages from iPhone to computer by clicking on the “Export selected” button. 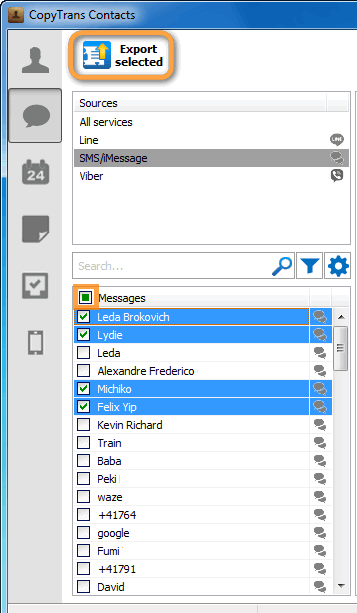 TIP: With CopyTrans Contacts you have an option to save text messages from iPhone to PC for free. It’s available for any conversation that has less than 200 messages in it. 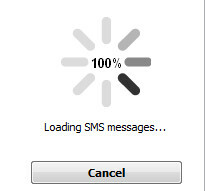 Next, select the messages backup format. 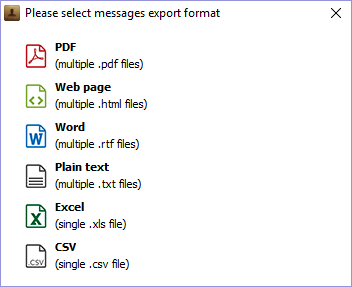 CopyTrans Contacts offers many different formats: you can save your iPhone messages in PDF, Word, Web, TXT, Excel, and CSV formats. The Web page format permits the highest degree of interactivity with your backed up iPhone messages. We recommend the Word format for editing your messages. The PDF format is the best for archiving or printing your SMS. Also, use PDF to enjoy emojis conversations like the one in the screenshot below. Navigate to the PC location where you want to save text messages from your iPhone. Your text messages are now transferred from iPhone to a computer in the format of your choice. Along with backing up iPhone text messages, CopyTrans Contacts also creates a folder with your attachments when you save your conversation in Word, PDF, TXT, or Web formats. 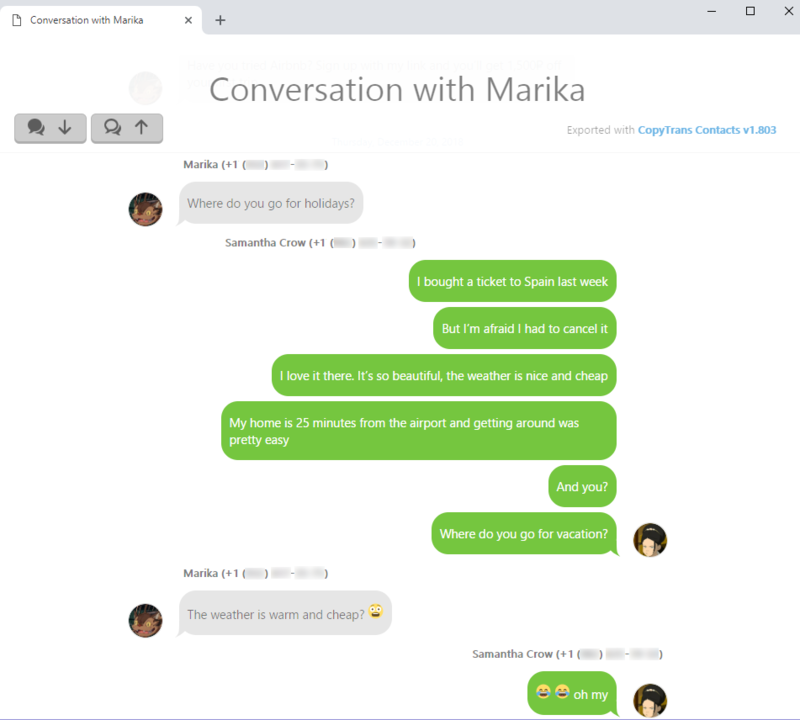 You can open the text messages directly on your PC. 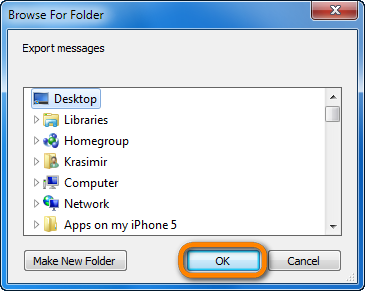 To view iPhone text messages on your computer, simply double-click on the corresponding file. The Web or Word format will show you the conversation exactly as it is on the iPhone.